When looking around for car insurance it can be tempting to reduce your rates by choosing lower amounts of coverage or by raising your deductibles. 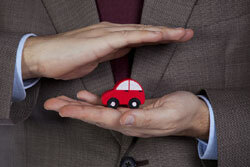 These are, of course, the two most obvious factors that affect the cost of your auto insurance. You may not realize it, but your overall rate is also affected by many more different factors – some of which you can control, and many of which you cannot. However, knowing what affects your rate can help you make a more informed decision when purchasing insurance, and can help you know exactly what to do to lower your expenses.